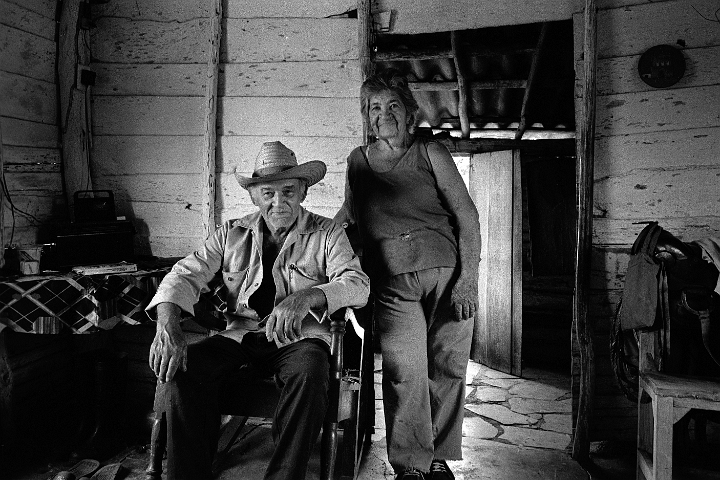 This farming couple lives in a simple wooden home about one hour outside the city of Sancti Spiritus. Even though the house does have intermittent electricity, it lacks modern amenities such as running water. They catch a ride into Sancti Spiritus about once a week.